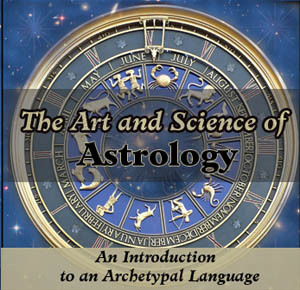 The podcast series is titled The Art and Science of Astrology, and it can be downloaded at EngagedHeart.com. The interviews were conducted by Kent Bye during the course of the three day long conference last May, and they feature some interesting questions and answers about the nature and purpose of astrology from a diverse array of professional astrologers. Since I was one of the speakers at NORWAC earlier this year, I had the pleasure of meeting Kent and doing an interview with him at the conference. I’ve thought for some time now that it would be interesting to see someone do a documentary on the astrological community from an outside perspective, and I think that Kent’s series is probably the closest thing to that concept that I’ve seen at this point. An outsider’s perspective is interesting to me because it allows the person to ask what I think are often more interesting and pertinent questions about the nature of astrology. Now, I’m not sure that Kent is entirely an outsider to astrology exactly, but it was still a much different experience than simply having one seasoned astrologer interview another. Kent also did a good job in acknowledging and being sensitive to the different astrological approaches taken by the various astrologers that he spoke to, and as a result I think that he asked some interesting questions that helped to illuminate the different ideas and perspectives within the community. Whereas other interviews that I’ve seen in the past have tended to treat the astrological community as a much more homogeneous entity, I think that Kent did a really good job in treating it as more of a diverse group of schools or approaches to the same subject. Its not that I necessarily liked or agreed with every single thing that each of these astrologers said in their interviews, but rather when you listen to all of them you end up with a really good picture of some of the different perspectives within the astrological community. Once again, you can download all of the interviews from The Art and Science of Astrology podcast series here. What did you think of the interviews? What did you find interesting? Which were your favorite ones? What did you think of my interview? Let me know in the comments section below.